“The evidence in this Report illustrates the direct bearing such systems can have on women and children’s legal empowerment, covering issues from customary marriage and divorce to custody, inheritance, and property rights.” The Report titled, Informal Justice Systems: Charting a Course for Human Rights-Based Engagement, urges that informal justice systems (in broad range of countries as Bangladesh, Ecuador and Malawi), “may be more accessible than formal mechanisms and may have the potential to provide quick, relatively inexpensive and culturally relevant remedies.”According to UN News Centre: Women, children and minorities in particular benefit from the impact of these systems, the report says, providing a source of empowerment for vulnerable populations. The Report – commissioned by UNDP, the UN Children’s Fund (UNICEF) and the UN Entity for Gender Equality and the Empowerment of Women (UN Women) and produced by the Danish Institute for Human Rights – is the most comprehensive UN study on this area of justice to date, according to UNDP. The Report indicates the need for broader coordination between the informal and formal systems. Broader development initiatives in education and health may also help change the way informal systems are structured and help create an environment where human rights can be respected. The rule of law is also one of the sources of economic growth as well as social and political stability. 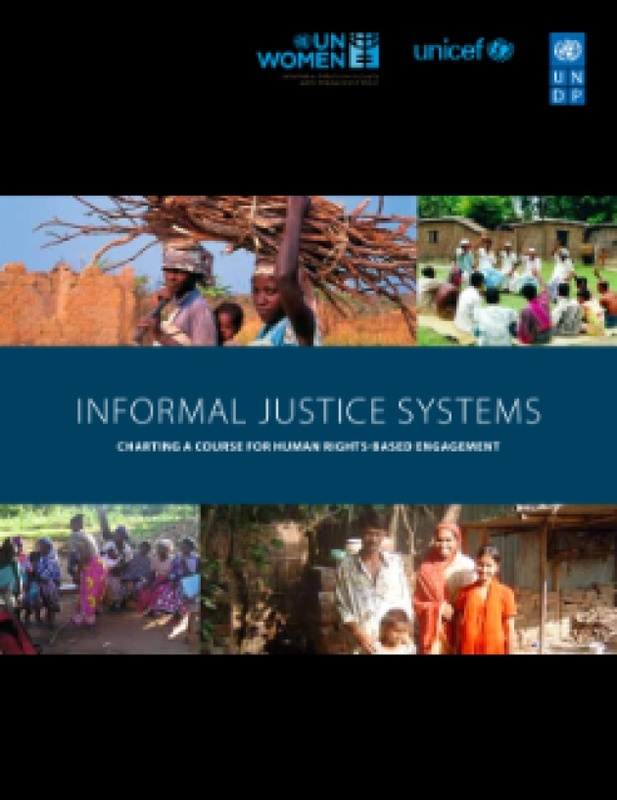 According to Olav Kjorven of UNDP: “The crucial value in this report lies in its emphasis on what can be achieved in terms of improving access to justice and human rights through informal systems. Changes should be evaluated over the long term, but training adjudicators, increasing the number of women in decisions-making posts, empowering paralegals and women’s groups to monitor and engage with customary leaders – all these efforts will continually improve individual and communal experiences of justice.” Read Press Statement on Report.